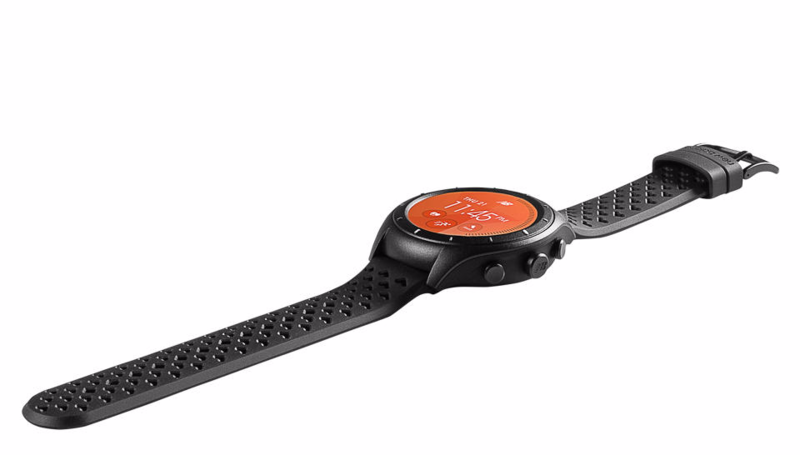 Last year at CES, New Balance announced that it would be releasing an Android Wear watch by the end of 2016. The company missed the schedule by a month or two, since the new watch has just been officially unveiled. It's called RunIQ and like the name and the brand behind it, it's focused on running. 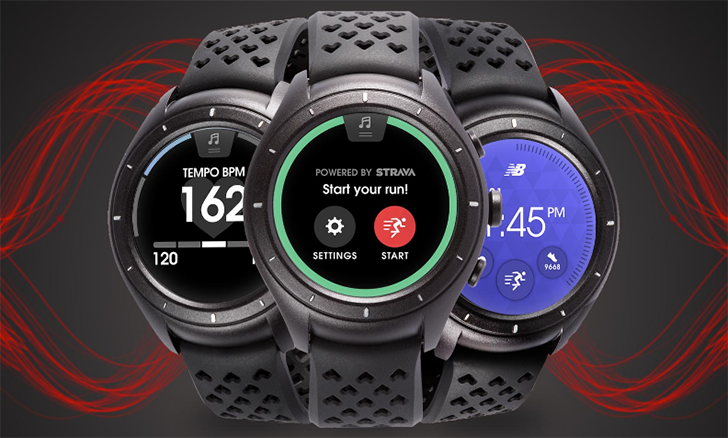 The RunIQ packs the 3 features that were hinted at last year: GPS, an Intel processor, and integration with the Strava platform to add a social and competitive element to running. But now we have more specific details. 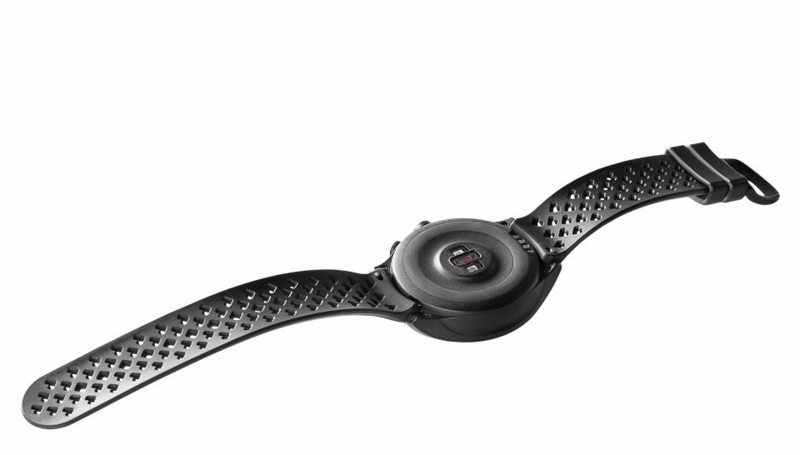 The GPS chip is coupled with a built-in heart-rate sensor that can work for up to 5 hours with continuous monitoring and map tracking. The Intel processor is the Atom Z34XX. The Strava integration comes with 3 months of free Strava Premium for pre-orders, and there are physical buttons to quickly time laps and start and end runs on the watch. 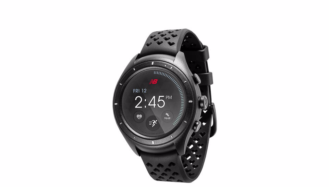 Beside that, the RunIQ has 512MB of RAM, 4GB of storage that can synchronize with Google Play Music to keep your favorite jams on the watch without the need for a phone, water resistance rated at 5 ATM, an accelerometer, a gyroscope, and battery life up to 24 hours. The display is quoted as a "39" AMOLED screen" on Intel's press release, which I'm going to go on a limb and say is wrong and probably means 39mm. And as you can see from the photos, no flat tire whatsoever. 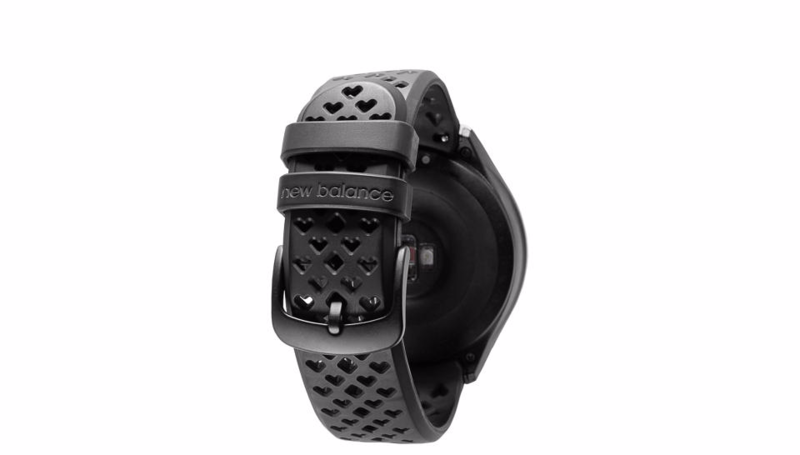 The RunIQ is already available for pre-order on New Balance's site for $299.99 and will begin shipping on February 1. 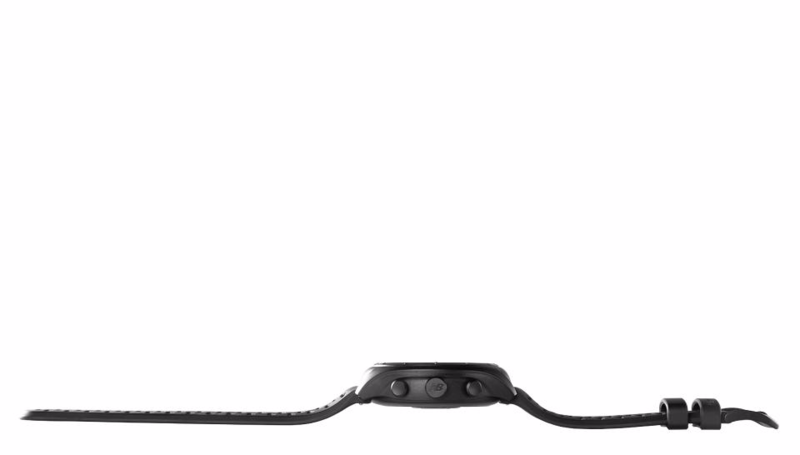 There's only one size, one color, and one choice of black strap and black body. 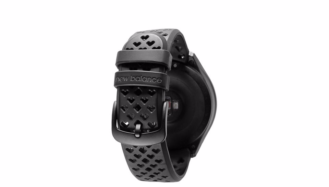 New Balance is also complementing the RunIQ with PaceIQ Bluetooth earbuds by Jabra, a set of $109.99 wireless buds with 5 hour battery life and easy access to on-demand running stats.